Why Should I Get a Master of Arts in Teaching (MAT)? What is the Difference Between a Master's in Education (M.Ed) and a Master of Arts in Teaching (MAT)? A Master of Arts in Teaching (MAT) is often an extension of education for those who already hold a Bachelor's in Education or Teaching. Often times people extend their education to a Master of Arts for an increase in pay and/or to add specialties within the education field. Some may also pursue a Master of Arts in Teaching to begin a teaching career after going into an unrelated field for a time. A Master of Arts in Teaching can be in any topic or subject area in which a teaching degree can be earned, as well as, further specialties. Education has evolved over the years, once being a field predominantly for men as women were not educated, then turning to a female dominated area when education became free and compulsory to a certain age. Now, those in education are expected to be highly educated with at the minimum, a Bachelors degree and in many specialties, a Master of Arts Degree. Deciding to earn a MAT has become commonplace among educators for the increase in pay. This is especially true with many degrees being available through online sources so a traditional classroom setting is not needed. Those who choose to earn a MAT, may also pick a specialty such as a Reading Specialist, Special Educator, or Library Science major. A Masters in Teaching may also lead to jobs teaching others to teach at the college level. Earning a Master of Arts in Teaching offers numerous benefits. Possibly one of the best known benefits is a pay increase for those who are already teaching. Those who earn a MAT degree to go into education will typically start at a higher pay scale than those with a Bachelor of Arts in Education or a related field. A MAT also makes new hires more attractive as the candidate appears motivated about education and potentially has more experience. Overall, an advanced degree will also benefit students as the teacher will be better educated in their general subject area. If you are considering earning a MAT then there are several requirements that must be met, the first being that a Bachelor's Degree in Education or a related Bachelor's degree must be in place. Many Master of Arts programs also require a GRE score at a certain level, which will vary by school. Additionally, if a teaching degree has previously been obtained, passing scores on all state certification exams will also be required. Many Master's programs will also require specific grade point averages in previous classes as well as recommendation letters from former professors or employers. Specific colleges and universities may have further requirements, and should be researched prior to applying. The majority of Master of Arts programs last two years or eight semesters. However, online courses may be shorter in duration for many programs of study. Though many people use the terms M.Ed. and MAT interchangeably, they are quite different. A Master of Arts in Teaching (also referred to as a Master's in Teaching) focuses primarily on the advancement of a teaching career - focusing on practical skills and subject-specific content. People who gain a MAT are often those who wish to gain hands-on experience in the classroom or stay in the classroom as a career choice. A Master of Arts in Teaching will often require student teaching as part of the degree program. Student teaching is similar to an internship. During student teaching, a teacher candidate spends time practicing theories and practices in a real classroom with students. Most traditional MAT programs will take two years to complete; however, online programs can be faster. Some schools even design MAT programs with working teachers in mind. These type of programs are great for teachers who want to improve their pedagogy while keeping up with their career. A Master's in Education (M.Ed.) is an advanced degree that typically means moving out of the classroom into other areas of education. While the holder of an M.Ed. can teach students in the classroom, it is most often expected that M.Ed. holders will teach at the university level or work in a broader educational sphere. Some of the common areas of specialty for an M.Ed. are Curriculum and Instruction, Counselor Education, and Educational Administration. Curriculum and Instruction prepares the learner to help develop and implement new teaching styles and curricula in all subject areas. Those in Counselor Education are typically interested in becoming school counselors or guidance counselors within the school. People going into Educational Administration are preparing for jobs as administrators, but may have to continue their education further before gaining employment in certain districts. MAT programs are great for those already teaching in the classroom who wishes to further their skills or add a subject area to their resume. A MAT program will allow an educator to be more proficient in their trained subject area. There are a large number of schools that offer MAT programs. Many of these programs are fully online, while others are a mixture of online and actual classroom experiences. Online programs offer opportunity and accessibility. As online programs have become a very popular and reputable way to earn a degree, more and more schools have begun to offer accredited online degree programs. With that, students have a wider range of programs and schools to choose from - regardless of geographic location, schedule, or physical ability. Classes can be completed on your own time. To complete an online degree program, you will essential need two things: great internet connection and a computer. Many students who wish to earn a MAT are working full time as a classroom teacher. An online program offers a flexible time schedule for the working student. This type of program allows students to organize their studies around their work schedule, rather than the other way around. Students can make time to complete assignments whenever it fits into their schedules - whether that's late at night after putting the kids to bed or on a lunch break. A common upside we here about getting an online MAT Degree is the the amount of time it takes to compete the degree program. Often, online degree programs are shorter than their brick and mortar counterparts, since commuting and physical lectures are not necessary. Although some programs may be shorter in duration, they may be more rigorous as a result. It is important to consider all these elements when researching online programs. The most important thing to remember is to find a program that is accredited by the proper associations. CAEP (Council for the Accreditation of Educator Preparation) is the the most common accreditation council. Previous accrediting bodies for educator preparation were NCATE and TEAC. However, those two consolidated to form CAEP as of July 2013. A program that is not accredited will not count toward an actual education certification. Make sure you contact the college or university of your choice and inquire about accreditation. As with most education programs, there are specialties within Master of Arts in Education programs. Several of the specific programs are described below. A Master of Arts in Secondary Education focuses on teaching in the 6th through 12th While there is typically an overview of secondary education in general, there is also usually a specific subject area that is chosen as a specialty. This will allow the learner to work toward an additional content area endorsement in most states. Common endorsement areas include Science (biology, chemistry, physics), ELA, Foreign Languages, Mathematics (algebra, geometry, calculus), and Social Sciences (sociology, psychology, history, political science). A class that focuses on the different types and forms of assessment and how each is used in the classroom. A class that teaches educators how to work with colleagues in a variety of settings and with purpose. A class focused on how to interact with students at certain grade levels so realistic expectations can be set. A Master of Arts in Elementary Education focuses on teaching students in Kindergarten through 5th grade (sometimes 1st through 5th or 8th). Students who chose this specialty will be able to teach any grade level within the certification. Since elementary school teacher teach all subject areas then all areas will be covered. However, some specialties exist such as music or physical education. A class that focuses on different types of learners as well as age appropriate practices. A class that focuses not only on implementing a curriculum, but finding one that works with the age and level of the students in your classroom. A class that focuses on how to teach diverse learners in the classroom setting in a variety of manners. A Master of Arts in Teaching Diverse Learners is typically designed for those already in the classroom who wish to add an endorsement. Programs such as this are designed to help teachers work with special education students and culturally and linguistically diverse students. This can help further a teacher's ability to work in a highly diversified school population. A class that focuses on cultural differences and concerns that may affect communication and participation within the classroom. A class that focuses on how to adapt assignments and teaching to special needs students so that milestones can be accomplished. A class that focuses on the types and styles of learners who may have special needs in the classroom. Special needs do not necessarily mean a learning of physical disability. A Master of Arts in Teaching Reading and Literacy allows the holder to teach as a Reading Specialist once the appropriate certification tests are passed. This type of program focuses on the teaching and remediation of reading and literacy skills at all levels. Most certifications will range from Kindergarten to adult. Specific endorsements tend to include K-8 Language Arts, Early Childhood Literacy, English, Speech, Journalism, Literature, Reading, Writing, or Yearbook. A class that focuses on creating a program of tiered reading and teaching to each level in an appropriate manner. A class that provides a comprehensive knowledge base for the theories and principles of reading. A class that provides strategies to integrate reading and literacy skills into all content areas of the curriculum. A Master of Arts in Mathematics is typically designed for those already teaching who wish to add a specific endorsement or for those who wish to become math teachers at the secondary level. Specific endorsements can be gained from many programs, and include Calculus, Geometry, Middle School Math, Algebra, and Trigonometry, among others. A class that studies the organization, philosophy, curriculum, and structure of the American high school. A class that examines necessary concepts in research methods, validity, data gathering, and design. A course that was created to deepen the student's knowledge of historically influential concepts in the mathematics field. The fully online MAT programs listed below are not provided in any specific order, it is a list of the most popular Online MAT programs. This list is not an endorsement or recommendation of any program. The Master of Arts in Teaching program at USC Rossier online is designed for those who aspire to be K-12 teachers. The program can lead to recommendation for teaching credentials. The program offers the same curriculum as the on-site program with courses in theory with field based teaching experiences. The curriculum is based on four broad categories that include foundations, methods, language and literacy, and fieldwork. To gain admissions one must have a bachelor's degree or recognized equivalent from an accredited university, a previous GPA of at least 3.0, the ability to demonstrate effective communication (written and verbal), a statement of purpose, and if an ESL student, an official TOEFL score. The online application must be completed by the deadline. If accepted, tuition will range from $50 to $53 thousand per year for full time students for 30 to 32 units. 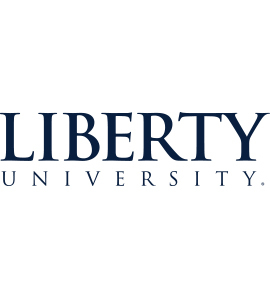 The Master of Arts in Teaching at Liberty University can be gained fully online. The program is designed for those without previous teaching experience. There are specializations in Elementary, Secondary, and Special Education. All areas will require student teaching within your subject area. Classes will be related to the subject or grade levels chosen. If you desire admission to the MAT program at Liberty University then you must contact an admissions counselor to find out exactly what is needed. Conditional enrollment is available for some students. If accepted then tuition will range from $590 per hour for part time students and $540 for full time students. Further information can be gained from contacting the Liberty University admissions office. 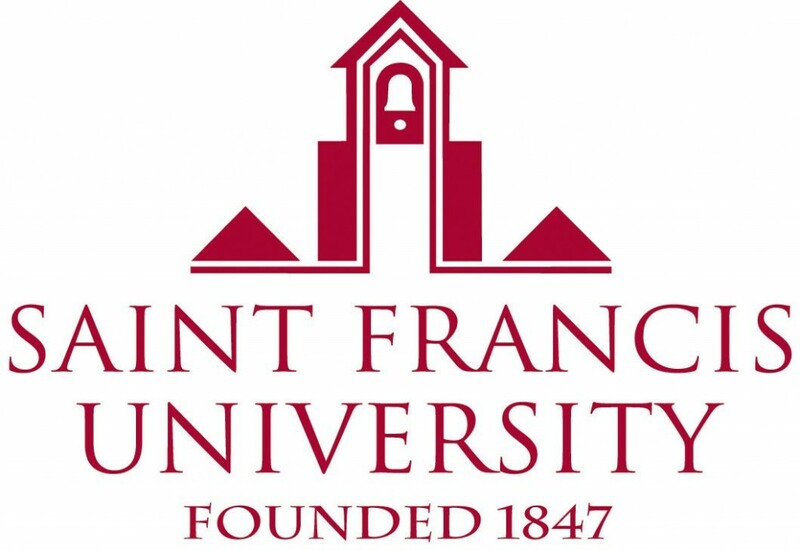 The Master of Arts in Teaching at Saint Francis is fully online and allows the flexibility and convenience needed for busy professionals. This MAT program is beneficial whether you are a licensed teacher or interested in earning certification. In fact the MAT program offers a Transition to Teaching aspect which can make the transition into the classroom much faster than a typical program. Additionally, there are no log in times or required class meetings until student teaching. The eight week courses can be completed on your schedule for greater flexibility. The University of St. Francis is fully accredited through both the Indiana Department of Education and NCATE, which is now CAEP. If you choose to apply to this MAT program you must possess a Bachelor's degree from an accredited college or university, a minimum 3.0 GPA or a 2.5 GPA with 5 years professional experience, and a GRE score of 280 or higher (MAT 389). Licensure requires passing scores on basic skills tests and a clear background check. You can fill out an online application and provide official transcripts with a statement of declaration from the university website. If accepted to the online graduate program classes will vary based on specialty and whether a teaching certificate has been obtained. Tuition is currently $450 per credit hour for graduate, online students. However, this does not include books. The Master of Arts in Teaching and Curriculum is available completely online through Michigan State University. Designed for beginning and experienced teachers alike, this program requires students to engage in critical inquiry and become leaders in their schools. Programs in K-12 World Languages (not fully online), ESL, or Special Education are available. Courses in diversity, understanding subject matter, theoretical perspectives, and information literacy are cornerstones to the online venue at Michigan State University. This is accomplished through classes such as Inquiry into Classroom Teaching and Learning, Curriculum in its Social Context, and Teachers as Teacher Educators. 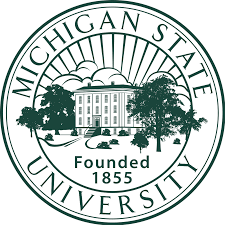 To apply for the online program at MSU, one must complete the application and send the fee of $50 which will prompt a packet to allow supplemental information to be sent for full admission consideration. Faculty will review the application, official transcripts, and other materials in the first round of reviews. All online graduate applicants must possess a Bachelor's degree or the equivalent from an accredited institution, have a minimum 3.0 GPA in the last two years of that degree, specific goals and resources that are compatible with MSU faculty (goals statement), a professional essay and resume, along with three letters of recommendation. If accepted, tuition help may be available through grants, financial aid, and scholarships. All degree work must be completed within 5 years of starting the program. Western Governors University offers an online Master of Arts in Teaching Elementary Education (K-8) to allow learners to become elementary school teachers while earning a Master's degree. WGU is the first totally online program to receive certification from NCATE, now CAEP, meaning they are fully accredited. This program hinges on classes such as Foundations of Teaching, Mathematics Content, Instructional Planning and Presentation, Elementary Education Methods, and Preclinical Experiences. These classes will take about 5 terms to complete, so a bit over 2 years including student teaching. To gain admission into the MAT program at WGU you must first fill out an online application which will then prompt a request for other information to gain admittance. Tuition at WGU is much different from most programs. You pay $2,890 each 6-month term. This is regardless of how many courses are taken. The more courses you take in a term, the less money out of pocket. A few additional expenses exist, but only once for each term. This program is designed to be highly affordable for those who have families and bills to pay. The MAT programs listed below are provided not in any specific order, it is a list of the most popular MAT programs offered. This list is not an endorsement or recommendation of any program. The Master of Arts in Teaching program at UNC prepares students for initial licensure to teach in one of the following areas: Grades 6- 9 or 9-12 Mathematics and Science or 9-12 English and Social Studies. However, new licensing areas are in the works for K-5 Elementary and 6-1 Science, Social Studies, English, and Mathematics. Students are required to be full time with a year of coursework and field experiences that begin in the fall and end in mid-June. The program must be completed in a particular sequence. The current course load is 33 graduate credits with a full time classroom internship included. Some required courses may include classes in classroom management, curriculum enhancement, and foundations courses. Once courses are completed with passing grades the Praxis II in the certification area must also be passed. To gain admission to the program one must meet all application deadlines with letters of recommendation, a complete application, and official test scores. Once admitted tuition and fees are determined each semester and based on residency as well as other criteria. The Master of Arts in Teaching at Brown University is an intensive one year program that creates tomorrow's leaders in the educational world. Certifications are available in elementary education (1 - 6) or secondary education (7 -12) in English, History/Social Studies, or Science (Biology, Chemistry, or Physics). This is a program that will lead to certification in the desired area once all criteria have been met. Some of the courses required for this MAT include Educational Leadership in Diverse Settings, Methods of Teaching, Analysis of Teaching, Studies in Education, Systems and Structures in Urban Education, and many more. Due to the structure of the program, all students must begin in June and complete the 12 month schedule with a small cohort. To gain admission into the MAT program fill out an online application. Those with previous work experience with children are preferred, but this does not have to be as a certified teacher. Additionally, the application must include transcripts of all prior classes, a personal statement, three letters of recommendation, official GRE scores, and a writing sample for ESL students. Once admitted, tuition is a bit over 48,000 yearly for MAT courses. Tuition does increase about 3 to 5% each year. However, financial aid and scholarships are available for those who can show need. 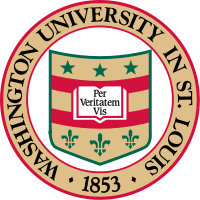 The Master of Arts in Teaching at Washington University in St. Louis seeks out recent graduates who hold degrees in the sciences, social sciences, or humanities who wish to teach. The MAT program leads to certification, even for those with no teaching experience. MAT programs exist in Secondary and Elementary areas as well as MAEd in Instructional process certification and an MS in Deaf Education. Specific to secondary education the following areas are available: Art, Classics, Dance, English, Mathematics, Modern Foreign Language, Unified Science, and Social Studies. Individuals who choose to apply will need to complete an online application with supporting transcripts and recommendation letters as required. The program requires 49 credit hours including student teaching which must be approved prior to completion of the program. Classes include 13 credit hours of Foundations of Education, 36 credit hours of Curriculum and Instruction, and the Professional Semester. Once admitted, tuition will vary, but financial aid is available during spring and fall courses. The Master of Arts in Teaching offered at the University of Portland prepares diverse individuals for careers in early childhood, middle, elementary, and high school education. New cohorts are formed each year to run from June to April through completion. 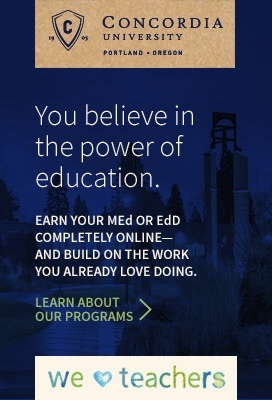 Unlike most MAT programs, there is no application fee for the University of Portland. 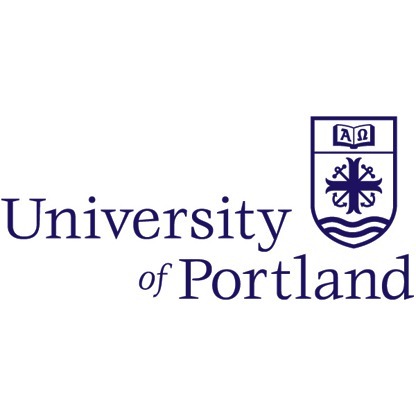 Additionally, the University of Portland offers two-year MAT residency in Multnomah County for those who are interested and accepted. Tuition for this particular program is currently $840 per semester hour with rates locked for each cohort. In addition, there are no extra fees for fingerprinting or other extras associated with the MAT program. Courses required for this degree include Policies and Practices for Diverse Learners, School, Parent, and Community Relations, Academic Assessments, and Linguistics, among many others. To gain admission into this program simply fill out an application and provide supplemental materials such as GRE scores, recommendation letters, and a personal statement. Most materials can be submitted online and should be in by the deadlines which typically fall in November. The Master of Arts in Teaching program at the Johns Hopkins School of Education is a 39 credit hour program that is nationally accredited and prepares candidates for initial certification in education. In addition to elementary, middle, and high school certification, specific certifications include English, Mathematics, Science, and Social Studies. The program is available as a full or part time student in a variety of formats. Some of the required courses may include Human Development and Learning, Materials for Teaching Reading, Classroom Management, Technology and the Science of Learning, and Field Experience to name a few. To gain admission into this program one must complete and online application with fee. Additionally, official transcripts from previous classes with a 3.0 GPA are required, a resume, recommendation letters, an essay, and test scores (GRE or ACT) are necessary. Applicants that are accepted will be invited for an interview prior to acceptance. Faculty interviewers will offer recommendations. If accepted, tuition for the MAT program will be $1,000 per credit hour or a total of $39,000 for the program in its entirety. Financial aid is available for those who qualify. The Master of Arts in Teaching at Northeastern Illinois University is open to those with a Bachelors degree and who want to teach in grades kindergarten through the eighth grade. The program requires 48 hours total. Students who complete the MAT program at Northeastern get a K-9 licensure, middle school endorsement, and Masters degree. To earn the MAT you will be required to complete courses such as Research Methodologies, Media Technology, Teaching Writing, and Issues in Reading Instruction in addition to many others. 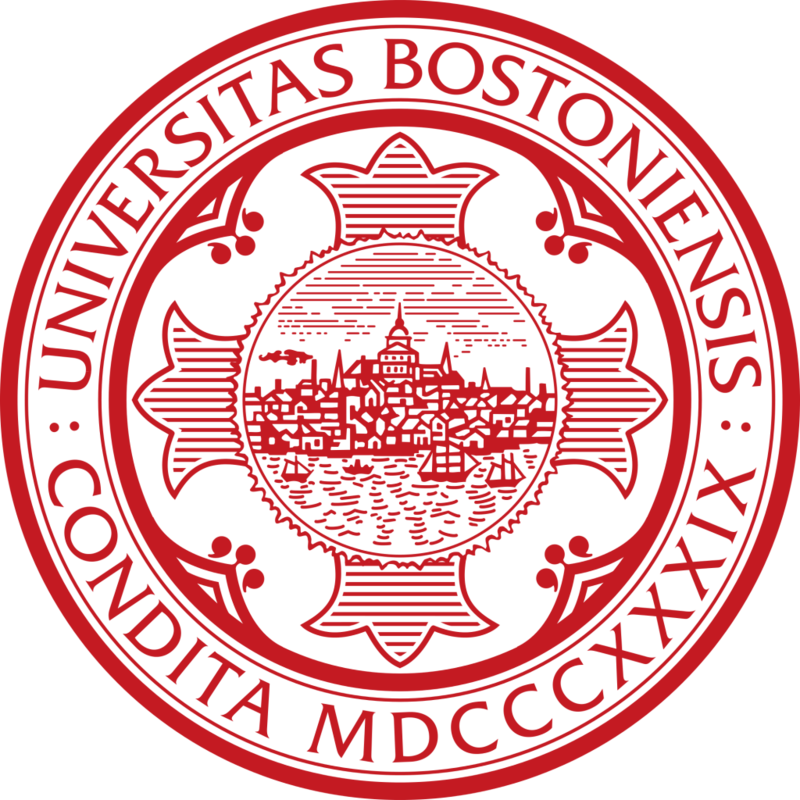 If you decide to apply for admission to Northeastern then you must meet the admission requirements for the College of Graduate Studies and Research in addition to college transcripts, two letters of professional recommendation, a writing sample, and a passing score on the Illinois State Test of Academic Proficiency. If accepted then the expected tuition for residents is $328 per credit hour or $656 for non-residents. Other fees are applicable for books, supplies, transportation, and other expenses. The Master of Arts in Teaching at Rice University is a 36 hour graduate degree program that does not require a thesis. The program is designed for new or experienced teachers who want to gain endorsements. Course specialties include: Art, English Language Arts and Reading, History, Spanish, Mathematics, Science (Biology, Chemistry, Physics, Earth Science, Environmental Science, and Astronomy), and Social Studies (Economics, Geography, Government, History, Psychology, and Sociology). Some required courses for Rice University include Teaching and Learning with Inquiry, Teaching Diverse Learners, Literacy Across the Curriculum, Educational Technologies and Digital Learning, and Teachers as Leaders. This is in addition to capstone courses and electives, among others. 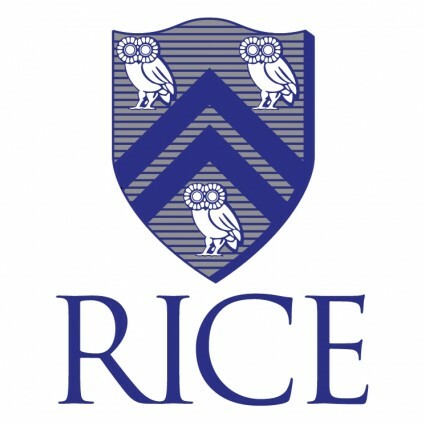 To gain admission into the program at Rice you must provide official transcripts from previous classes, three letters of recommendation, statement of intent, a recent (within five years) GRE score above the 70th percentile, and the $85 application fee. In addition, applicants will be required to participate in an interview with faculty members. If accepted, tuition will average about $41,560 per year. Some of the required courses include Instructional Design, Classroom Methods, Assessment and Evaluation, and Adolescent Development courses. These are just a few of the required classes in addition to internships in the classroom. If applying to Boston University's MAT program than you will need a few items to complete the process. These include the online application with non-refundable fee, official transcripts from all previously attended universities, two letters of recommendation, official standardized test scores (GRE or TOEFL for ESL students), a resume or curriculum vitae, statement of qualifications and objectives, and the equity and inclusion statement. If accepted then tuition will be approximately $68,000 for full time graduate students. The Master of Arts in Teaching with Credential is a fifteen month program at UC Irvine. There are two separate start dates for the MAT program that covers multiple subject and single subject credential areas. This program does allow for non-teachers to earn licensure once the appropriate exams are passed with set scores. Some of the required courses for the MAT at UC Irvine include courses on Classroom Management, Development, and specific subject area content. If you desire to apply to the program at UC Irvine then complete an online application with a personal history and statement of purpose, transcripts from previous classes, GRE scores, three letters of recommendation, a certificate of clearance, and a negative TB test. There are scholarships and financial aid available for those who qualify. If accepted, tuition will range from $16,000 to $33,000 for residents and non-residents, respectively. The Master of Arts in Teaching at North Carolina State University is an on-campus MAT program that is accelerated to lead to an initial teaching license and a Master's degree. Based in Wake County, North Carolina, this 24 credit hour program can be used toward specific licensure in Secondary Mathematics, Science, Social Studies, and English, Middle Grade Language Arts and Social Studies, Technology Education, Special Education, Elementary Education, and ESL. Core classes will include Principles of Developing and Interpreting Assessment, Exploring Diversity in Classrooms and the Community, Enhanced Internship in Teaching, and Classroom Action Research. These are in addition to subject specific classes for each area. To gain admission to North Carolina State University one must have a four year degree from a college with a regional accreditation, a combined GRE verbal and quantitative score of 300 taken within the last five years, a 3.0 GPA or higher, three letters of recommendation, and a personal essay. There are Fall and Spring start dates. If accepted, tuition for residents averages about $12,500 with non-residents paying almost $27,000 yearly. Earning a Master of Arts in Teaching is an admirable accomplishment. Whether you were already in a classroom or making a career start or change, the programs are often vigorous and should be a source of pride upon graduation. Once an MAT is earned, several options within the educational realm may open up to the degree, and licensure, holder. A high school science teacher spends the day teaching science, typically of varying levels, to high school age students. Those who specialize in a specific type of science may have an advantage at certain levels. Specializations may include chemistry, biology, earth sciences, physics, or other science forms taught at the high school level. Since science is considered a high need area in most schools, science teachers are often offered loan repayment of school loans if a contract for a certain number of years teaching is agreed upon. Science teachers will typically work in a classroom setting with a class of 30 or fewer students. Many science classrooms are partially arranged as labs with related equipment available. The average salary for a science teacher will vary from state to state and even within a state, based on districts. The average salary is approximately $55,000, but this can vary with years experience and education level. Science teachers are in demand at the moment and the job rate is expected to continue to grow. An elementary school teacher is expected to work with a single class of children for an entire school year to teach all basic subject areas. Elementary teachers must teach math, reading, writing, science, and social studies to their assigned grade level. A typical classroom tends to have 25 students or less who will remain in that class throughout the year. An elementary classroom usually has desks or tables, an assortment of activity centers, and a few classroom computers. The average salary for elementary school teachers is about $53,500 dollars depending on area, state, county, district, and even school in which the teacher is teaching. Elementary school teachers can work in the private, public, or charter schools with a degree and license. As more and more teacher retire, elementary educator job outlooks are on the rise. A middle school literature teacher is responsible for teaching literature and literacy skills to students in grades 6 through 8. Most middle school literature teachers will have one grade level to teach in multiple classes. Class size can range from a few students to many, but the typical class size is between 20 and 30 students per class. A normal classroom will likely have tables or rows of desks, a selection of reading materials, and some basic technology as classroom support materials. Literature is a specific subject area and though the growth in jobs has been steady, it is not rapid. The average salary for a middle school literature teacher is about $44,600 yearly, but this varies widely by district, state, and county. Not all people who hold a M.A.T. work in the classroom, though most do. A curriculum developer works with textbook companies and other organizations to produce educational content, i.e. textbooks and supplemental materials. Since textbook makers need the input of those with a background in education, they often hire those with a Master's degree. This may lead to a job as a consultant, researcher, or online content developer. The average salary for a curriculum developer is about $58,600 per year with the highest salaries associated with technical writing and course design. Though this is a growing field there are many highly trained people for the open positions. Many who seek a Master of Arts in Teaching (MAT) are already teachers or aspire to enter the field of education. Most colleges and universities even offer specialty programs under the MAT Degree umbrella. In other words, degree candidates will be able to earn a general MAT degree while focusing on a specific content area or age range of their choice. Regardless of the specialty, several scholarships are available for those working on a Master of Arts in Teaching Degree. Being aware of different scholarships and grants is a good idea in helping pay for your education. In addition to our own scholarship seen above, the following scholarships may help Master of Arts in Teaching (MAT) candidates pay for their degree. The Jack Kinnaman Scholarship is sponsored by the NEA (National Education Association). The annual $2,000 scholarship goes to a student who is in financial need and intends to pursue a career in teaching. For this scholarship, all application materials must be mailed (no electronic submissions). The entrant must have a GPA of at least 2.5 and must be a member of the NEA Student Program. The Journalism Education Association's Future Teacher Scholarships gives up to five recipients a $1,000 scholarship. To be eligible, applicant must be an education major and enrolled in an upper division Master's Degree education program. The candidate must be in a program that will lead to the student being able to teach journalism at the secondary school level. The deadline for this scholarship is every July 1.